Lisa is an actor, director, theater educator and Linklater voice practitioner. 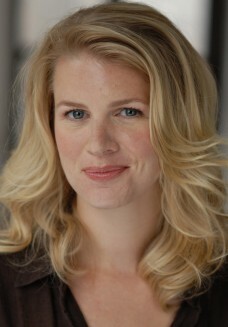 As an actor she has performed in the following: Broadway: After Miss Julie (Roundabout Theatre). Off B’way: Spirit Control (Manhattan Theatre Club), Antony and Cleopatra, All’s Well That Ends Well (Theatre for a New Audience). Other select regional credits include Greedy (Clubbed Thumb), Silent Heroes (Roundtable Ensemble), FUBAR, LoveSick (Project Y Theatre), Rabbit Hole (Premiere Stages), Paris Commune (La Jolla Playhouse), Bash (About Face Theatre), Absolution (Steppenwolf Garage). T.V/Film: White Collar, Law and Order, Law and Order Criminal Intent (recurring), Early Edition, In Our Nature, 100 Towels, What Are You Having?, among others. Lisa received her BFA from The Theatre School at DePaul University and her MFA from The University of California, San Diego. She has taught at UCSD, Middlebury College, and Carnegie Mellon University.